Have you ever finished watching a movie feeling awakened and ended up questioning your take in existing environmental damages? As this month’s significant drop in temperature makes it difficult or even troublesome to spend leisure time outside, watching movies whilst popping up popcorn at home might be a good choice. From kid-friendly, animated features to a gripping documentary, we have reeled our varied selection of 7 best green-themed movies which communicates a sense of urgency to live sustainably and protect the environment. Trust me, they are worth a watch (and re-watching)! This epic piece of environmental advocacy by James Cameron remains the highest-selling movie of all time since it’s premiere in 2009. Avatar sets in a post-apocalyptic world where the Earth has been severely depleted of its natural resources that it has to depend on Pandora, a habitable planet where each living creature is emotionally connected and lives in harmony. 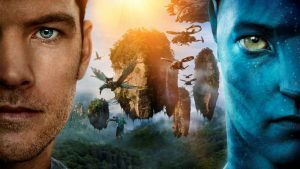 Following Jake Sully’s journey as a hybrid form of human and Pandora’s humanoid with the mission to infiltrate the Na’vi, Avatar touches important environmental issues, including the exploitation of virgin rain forests, the endangerment of indigenous Na’vi tribe, and the destruction of humans and nature by corporate interests. As Jake carries his mission, he eventually turns to help the Na’vi defend their planet. With its amazing use of computer graphics, strong plot and message, Avatar is an effective reminder of the danger of humans’ obsession with nature exploitation to fulfil our needs. If you are into action movies about political revolt like The Hunger Games, there is a high possibility that you will like Snowpiercer. Set after a catastrophic corporate-led geo-engineering scheme to reverse the effects of global warming which ended up freezing the Earth over, Snowpiercer interconnects the climate crisis to the destructive capitalist system. 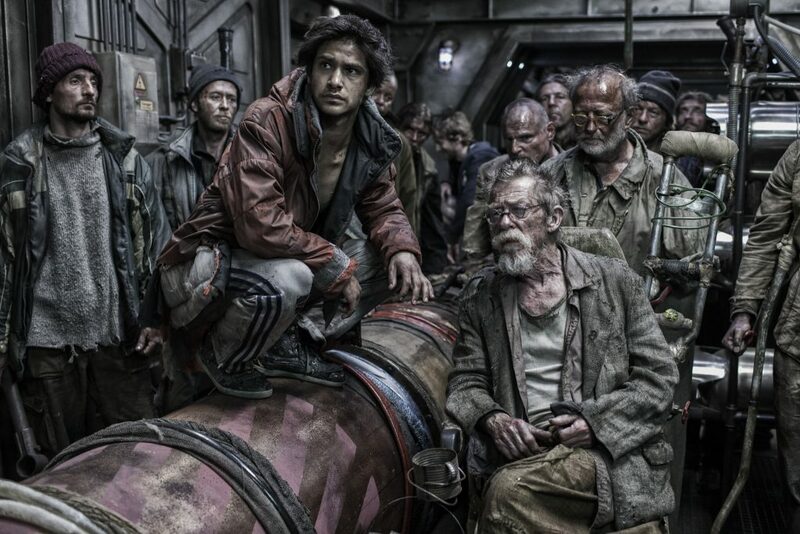 With a few hundred survivors left, the only way to stay alive is by coming aboard the Snowpiercer, a huge train that can circumnavigates the globe forever. However, controlled by a corporate magnate, the ticketing system in the train mimics the class hierarchy where the poor live in the heavily policed tail end of the train, exploited to operate it. On the other hand, the rich live enjoyably with a variety of entertainment at the front part of the train. The movie goes on to portray the rebel of the oppressed against the wealthy. Speaking about the backfiring effect of the extreme measures to attack climate change, Snowpiercer is a critical movie which presents an important message: challenging climate change means transforming the capitalist system which produces inequality and changing the way we do business. Probably one of the most original ideas behind animated movies that raises environmental issues, The Lorax is definitely a must watch. 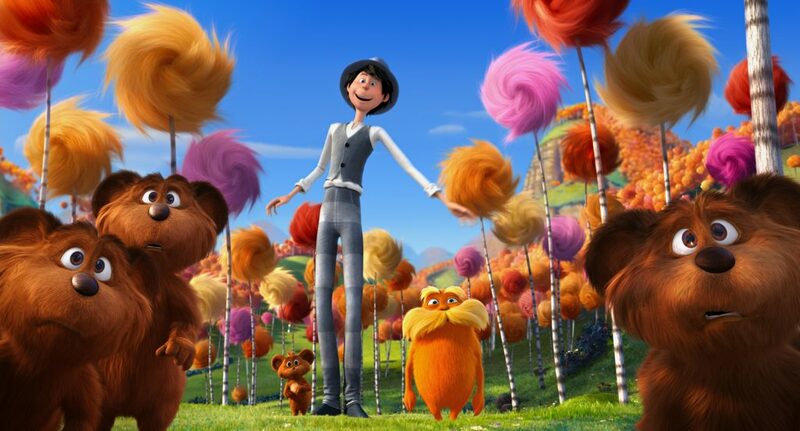 The Lorax is about Ted, a 12-year old boy who lives in Thneedville who comes across Once-ler, a manufacturer whose activity of cutting down all the Truffula Trees and Brown Bar-ba-loots to expand the production capacity of Thneed ultimately leads to toxic environment and poor air quality. This is against the warning from The Lorax who leaves Thneedville and flies to the sky after all the trees die. Delivering the message that the environment must be protected against those who only want to profit from it without preserving it, The Lorax is a movie for all age. Fancy a gripping documentary investigating the implications of climate change on global stability and security? The Age of Consequences might be your cup of tea. In this film, Pentagon veterans, former White House advisers and public policy fellows expose how water and food shortages, extreme weather, drought, and sea-level rise accelerate global instability and exacerbates conflicts all over the world, from droughts that erode social stability and power civil war in Syria, refugee crisis in Europe, famine in Somalia, to the volatile fallout of post-Katrina New Orleans. Taking a different perspective to other documentaries about climate change, The Age of Consequences examines the ties between climate change and societal tensions which we see today. This suggests that climate change is on our doorstep, rather than a distant problem – thereby mopping up sceptics whilst adhering a sense of urgency. This movie takes place in a distant future, 2805, where mankind has trashed the Earth with products sold by the powerful multi-national Buy N Large corporation, turning it into a waste dump. Humans flee a gigantic spacecraft, leaving the last garbage collecting robot, Waste Allocation Load Lifter Earth-class (WALL-E) to tidy up the planet, one garbage at a time. They have grown obese and become extremely lazy due to their dependence on technology, over-consumption and monotonous activities of moving on hovering chairs whilst eating liquid food and watching TV. However, their curiosity as to whether the Earth is still liveable makes them send a probe droid to earth to inspect it. On the other hand, the Earth is devoid of life unless for WALL-E’s pet cockroach and a fragile new plant sprouting among the trash piles found by WALL-E, showing the first sign of life in decades. 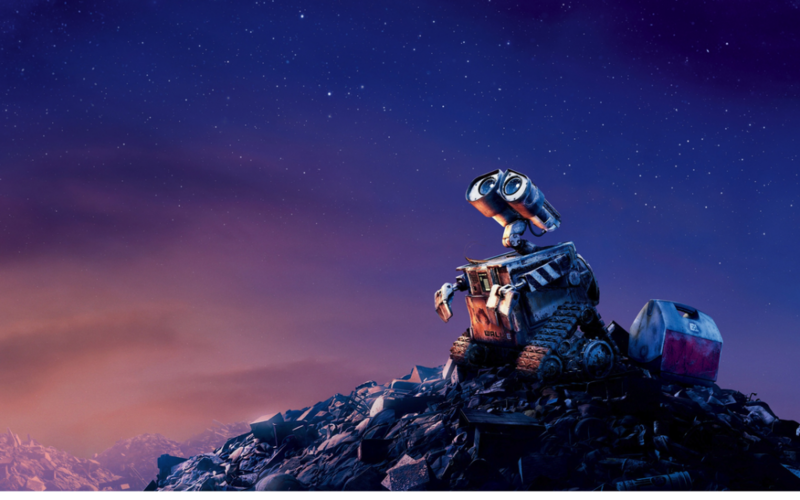 WALL-E never disposes what he can save and reuse. He stays functioning by scavenging parts from other broken robots, and his home is full of trinkets he saves and repairs. A visionary science fiction movie that suits all ages, WALL-E serves as a reminder of the direction to which we might be going if we are not living sustainably and not preventing further environmental collapse. 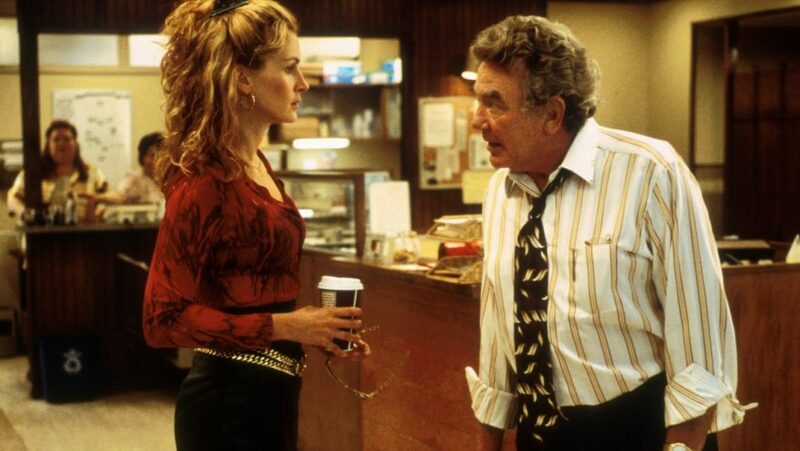 The only biopic movie in this list, Erin Brokovich follows the fight of a single mother working in a legal office against the groundwater pollution by the Pacific Gas and Electric (PG&E) in Hinkley, California. After conducting thorough research and finding that many of her community members suffer from similar cancerous illnesses and treated by the same PG&E doctors, Brokovich files a class action lawsuit against the firm, ultimately revealing a decade-long corporate cover-up of locals water supply pollution and health problems. Besides its strong environmental message, the movie is also an empowering story about how one individual can stand up and win against irresponsible huge corporations and seek justice for her fellow citizens. Following the poisoning and drowning of Green Day in the highly polluted Lake Springfield, Lisa tries her best to educate locals in her neighbourhood about the water pollution problem and encourage them to take action by not dumping waste to the lake. Whilst at first she faces rejections, she finally convinces them and the lake is cleaned up. However, due to his impatience to enjoy the last pieces of free Larry Lad Donuts, Homer dumps a pig-waste silo into the lake which turns it into a green, boiling pool of acidic mud. The Simpsons are then forced to escape the town after the police discovers Homer’s silo in the lake. 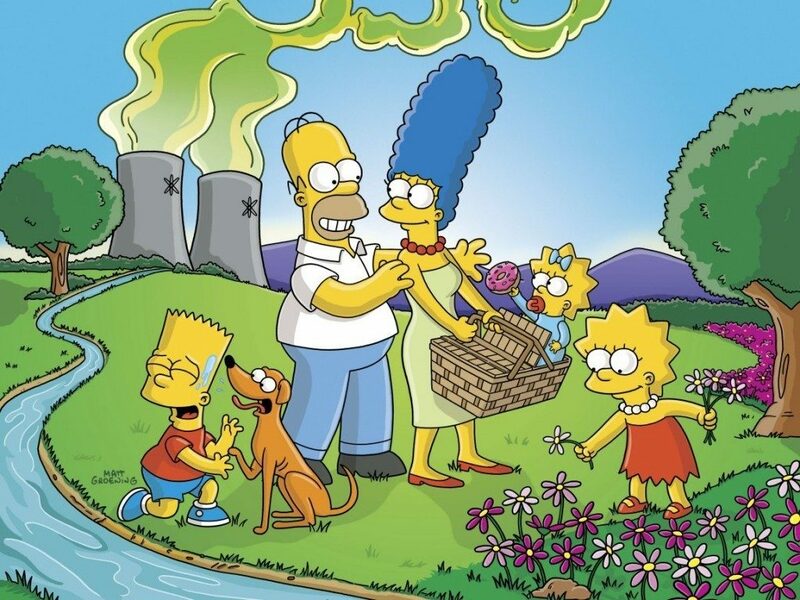 Whilst not entirely a movie that addresses environmental issues, The Simpsons Movie lightly presents an example of punishment which environmental degradation criminals deserve and how it might only take informed, concerned and strong-willed individuals to organise mass environmental actions.